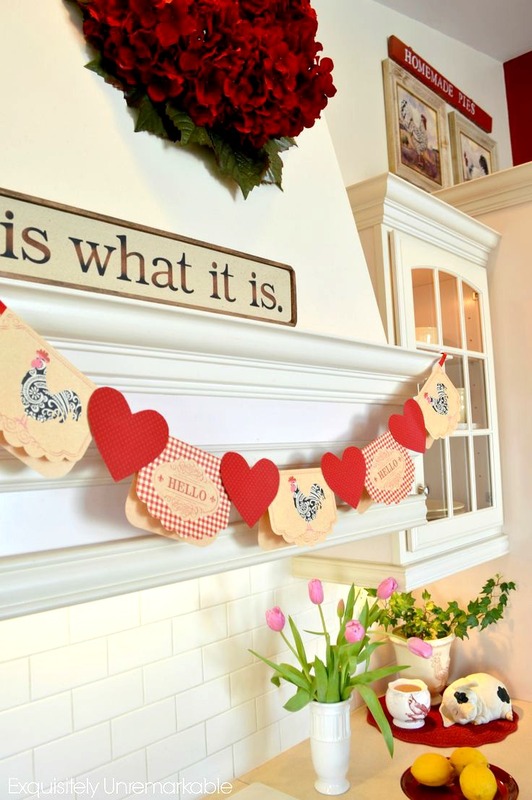 Valentine's Day banners are one of my all time favorite home decor crafts. It's funny, I'd never made one before I started blogging, but since then, I've been compelled to put one up every year. There's something about them that just makes me smile. However, if you ask me why, exactly, I don't think I could give you one specific answer. I mean I absolutely adore the color red, that's no secret, and let's face it, Valentine's Day tops even Christmas when it comes to crimson decor. Speaking of Christmas, by February the decorations have been down for like two months and that clean and simple January high starts to feel a little austere. It also could be because I love my kitchen hood, almost as much as I love the color red and the chance to combine the two? It's crafty and creative bliss. Staring at my blank hood as Valentine's Day approached way back in 2014, I went in search of a banner online and at the dollar store, but came up empty handed. There were some great choices for the classroom or even a party, but nothing I saw said, elegant, grown up Valentine home decor. Now when I say elegant, I don't mean stuffy. I was just looking for more than tissue paper hearts and naked cherubs looped together. 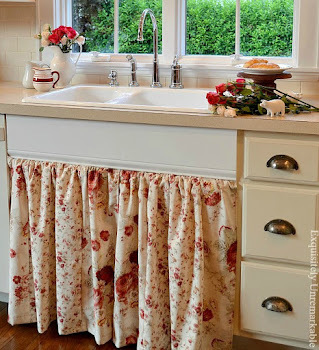 I wanted something whimsical, romantic, colorful and fun that would compliment my cottage kitchen. Something that wouldn't look out of place when my guests came over for cocktails and hors d'oeuvres. Ironic that I found my Valentine decor muse in my kindergarten planbook, don't you think? We used to get crafty with puzzle pieces and one day, when I was cleaning out some of my old teaching supplies, I came across a box full of them and wondered if I could use them for more than just kids' crafts. The result was a charming word banner made out of red and pink letters. It simply said, LOVE. And yes, in love is exactly what I was...and still am. The following year, as Valentine's Day approached, I felt the need to make another banner. This time, I was at the craft store and found these darling notecards in the dollar bins. Stringing them up took me about ten minutes and I was all set for the holiday. And I mean honestly, who doesn't love chickens? Next, I raided my craft closet and made a plain brown paper tag banner. As my desire to simplify started to take hold, so did my craving for a more neutral decor. Oh sure, the red was still there, but as more of an accent than the star of the show. The neutral tones and rustic twine provided an understated air, but still popped against my bisque colored hood adding just enough of an accent to make me smile. The last of my Valentine banners doesn't really look like a Valentine garland at all. The only clue that it was for the holiday is that red fabric and the two small hearts tacked onto the end. This time around, I was looking for something totally different and wanted decor that could stay up past February 14th without looking out of place. My solution? A scrap fabric box pleat banner. I had yards of red fabric just waiting to be used and an itch to stitch. The result was a DIY I couldn't put away for months. It was so pretty and added such warmth to the room that it stayed up until April. What will I put up this year? I'm actually not sure. I haven't gotten that far yet. Dirty little secret? While all of my Santas and signs have been packed up and away, my big Christmas trees are still standing tall. When they come down in the next day or so, maybe all that empty space will motivate me to conjure up something fresh...and like the others, it'll be basically free. I can always go back to my very first banner. Because after all, there's nothing like your first love. 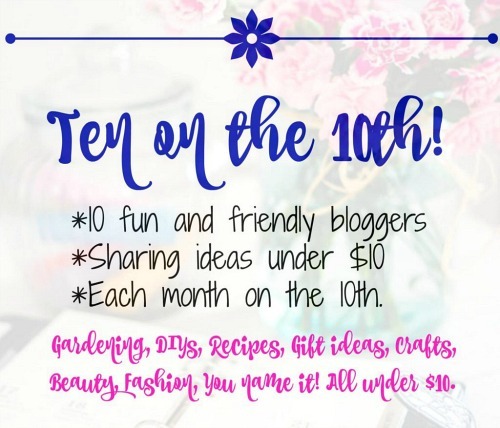 Before you disappear, you must pop over and visit my friends for more Ten On The Tenth fun. We have a whole new crafty crew to introduce you to. Carol from Blue Sky At Home is hosting this month's installment and you're sure to find some more creative ways to celebrate Valentine's Day for under $10. Let's hop! You have the perfect spot for a banner!! I never think to make one! And what a pretty kitchen, too!! I love all of your banners and I really love that wreath! I don't decorate for Valentines Day. Thanks Penny! That wreath is still my favorite one in the house...and it was so easy to make. Yep!!! Valentine's Day is your holiday for sure. With your love of red and all your sweet homemade decor. I love that banner. It looks so striking against your white mantel. You have a big heart and a very talented one so this is definitely your holiday. I just took my trees down yesterday so you are in good company. I adore all of the banners but I do the chickens! Thanks so much! I like chickens, too!! These are adorable. Your vent hood is gorgeous. I think I need a wreath for on mine. I'm off to see how to make that pleated banner. Thanks so much, Katie! I had to fight for that hood, but it was so worth it. I love your banners! They are always perfect and so beautiful! Your creative banners inspired me to make my project for this challenge! When I saw the goodies at Target, I thought "what would Kim do"? Thus, my Valentine's Day project. I picked up a couple of other things and will be making another little Valentine's Day deal...again, from your inspiration! :-) You are a good influence on my craft skills! Love and hugs! Benita, you are so kind and hilarious! I love it!! And I'm so glad that you decided to join us for this hop. There are so many talented ladies here. It makes it much more fun!! So cute!! I confess, I barely decorate for Valentine's day....I have a red dishtowel with a heart and a metal mesh heart filled with scented rosehips for the kitchen door - done. Boring. I'm boring, too, Debbie...the banner is about the extent of it. I guess we're in good company! Kim your kitchen is to die for! 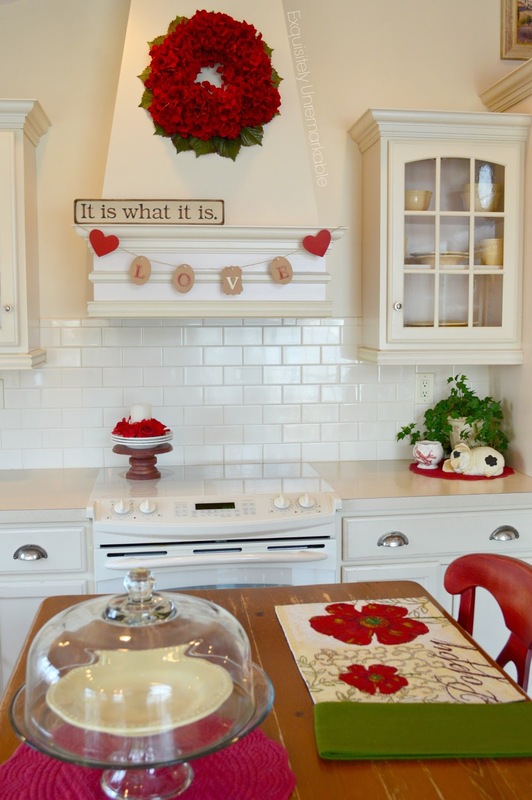 Love all of the Valentine Day decor. Now that I've seen this, I think that I'm ready to break out the rest of my Valentines Day stuff! Tammy, thank you so much! I have to make a new banner and get it up there fast! I think you must be crowned, "The Banner Queen", Kim. They are all beautiful! Thanks Ann!! I wouldn’t mind wearing a crown!! Haha!! Thank you so much, Cindy!! I'm slightly banner obsessed! 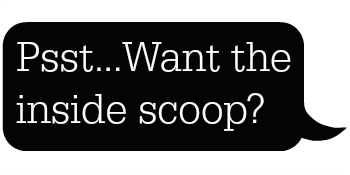 You have the best banner ideas in all of blogland! I love the note card idea! You just keep topping yourself! All your Valentine banners are amazing. I wasn't able to reach your sight through my normal browser (Chrome). I had to open Explorer to see your Ten on the Tenth post. Not sure why, but wanted to let you know. Eilis, you are so kind! Thank you! And thank you for the information. Blogger is a tricky friend sometimes. I have to look into that...I'm sorry it was giving you trouble. That's no fun! Our tree is still up too. ;-) We plan to take it down Saturday. I love all your Valentine banners. I have a feeling you will come up with something amazing this Valentine's. Thanks Carla! Now that the tree is gone I'm craving something festive. Kim you are famous for your red banners in the kitchen and I know that whatever you come up with will be just right! So glad to see that so many other ladies have joined the group! The more the merrier! Thanks Mary! I have to get working on something new...and yes, the more the merrier for sure! Thanks Julie! I love the card banner, too. Those chickens are just too cute! I love everything about your kitchen!!! 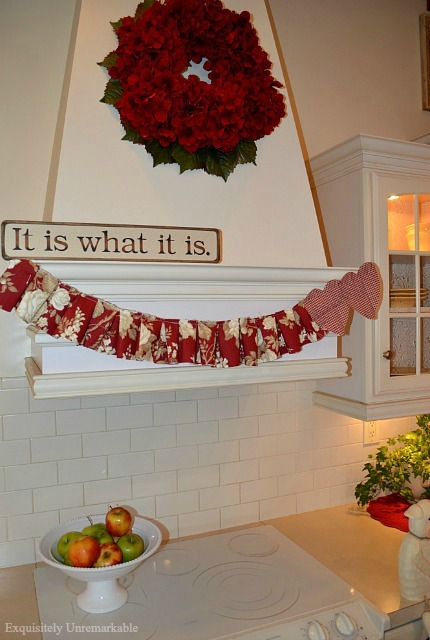 I had never seen or even heard of decorating with banners before I started blogging. Nobody here in my area uses them. I've never made one but may try this year. I am in the market for a new hood. I might see if I can find anything similar. My hubby would never be able to replicate yours!!! Thanks so much, Cheri! And I’m with you, before blogging banners were something we hung in the classroom for someone’s birthday! And as far as the hood goes, it was a simple build. The mouldings are what give it that character, but other than that it’s just a triangular box! I hope you find one that makes you smile! Beautiful. Have a happy weekend Kim. Hug. All of your Valentine's banners are so pretty, but the show stopper is the red wreath on your hood. Since I love blue, my last two Valentine's banners were blue. I'm not sure what I will do this year. Thanks Judith! I love red the way you feel about blue, so Valentine’s Day is a great excuse to bring in a little more of it. And thanks, I love that wreath. It was so easy to make and looks good in any season. 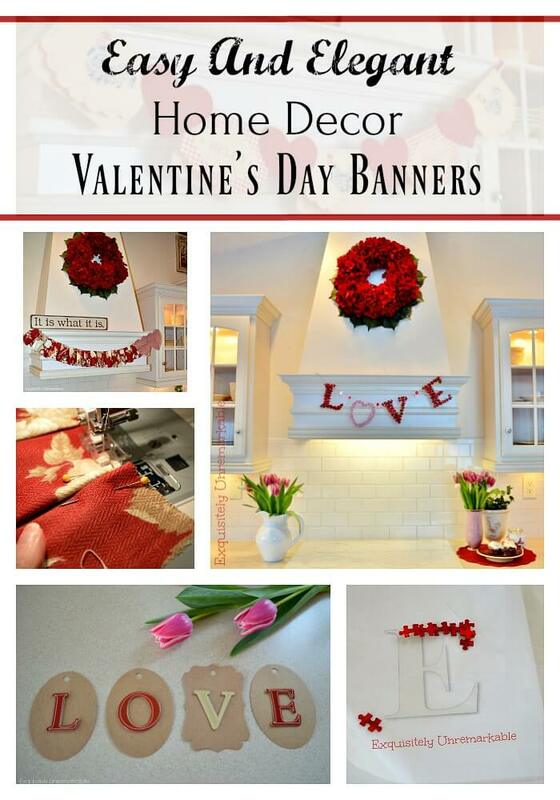 I’ll be on the lookout for some Valentine decor in your gorgeous home. I always enjoy a peek inside!